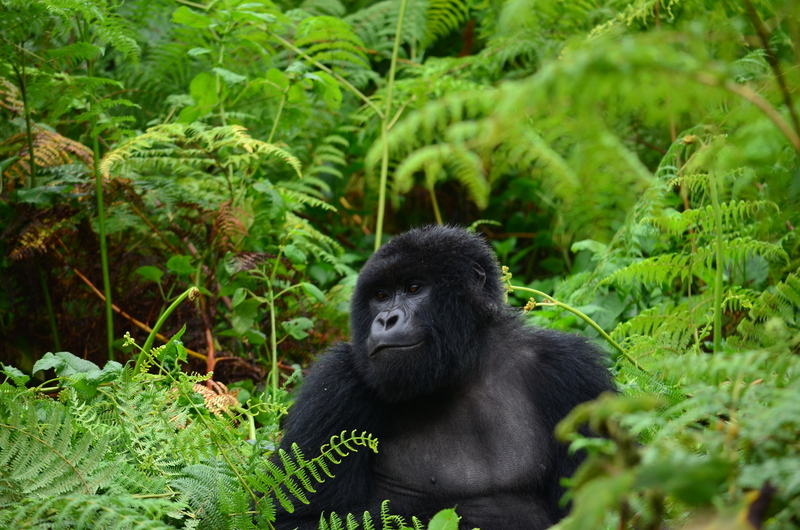 This Silverback weighs about 200 kilos and is 2 metres tall. This little fellow was just as curious about us as we were about him! Although humans are not permitted to touch them, the gorillas sometimes approach you for a closer look. This one actually stepped up and touched one of our guests on the knee, while never once breaking eye contact. His Silverback Dad kept a careful watch from nearby. 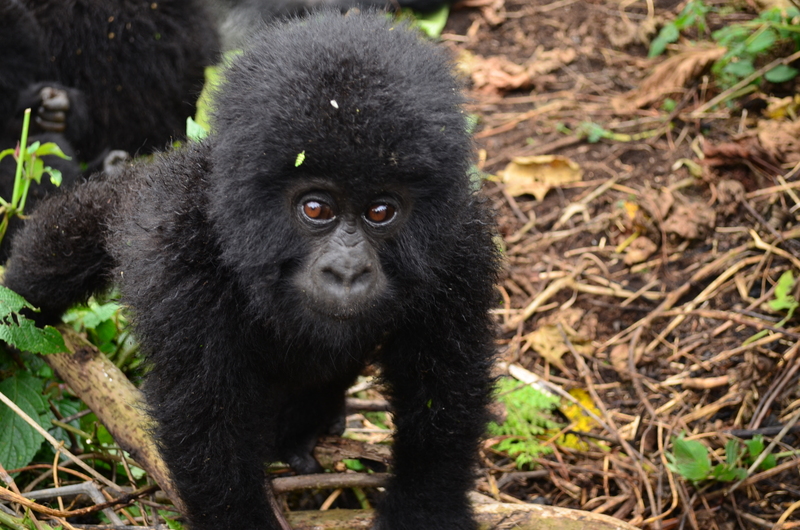 New to SafariKenya – Due to popular demand, we are now offering Gorilla Trekking Safaris to Rwanda! Our Luxury African Safaris take place between July and November each year, the best time to visit Africa. Please visit our Upcoming Safaris page for details. They commence in Nairobi, the capital of Kenya, and coincide with the annual Great Migration of animals across the plains from the Serengeti in Tanzania to the greener pastures of the Masai Mara National Reserve in Kenya. On safari, we stay at the luxury tented camps that only cater for small, select groups. Our Safaris include all accommodation, all land travel expenses and entrance fees, and most meals. We will be spending time in various significant game parks such as the Masai Mara, as well as Amboseli, which lies at the foot of Mount Kilimanjaro, and Tsavo East National Park.